The following questions were asked on reading textbook chapters and previewing presentations on the evolution of medium-mass stars, massive stars, neutron stars and black holes. 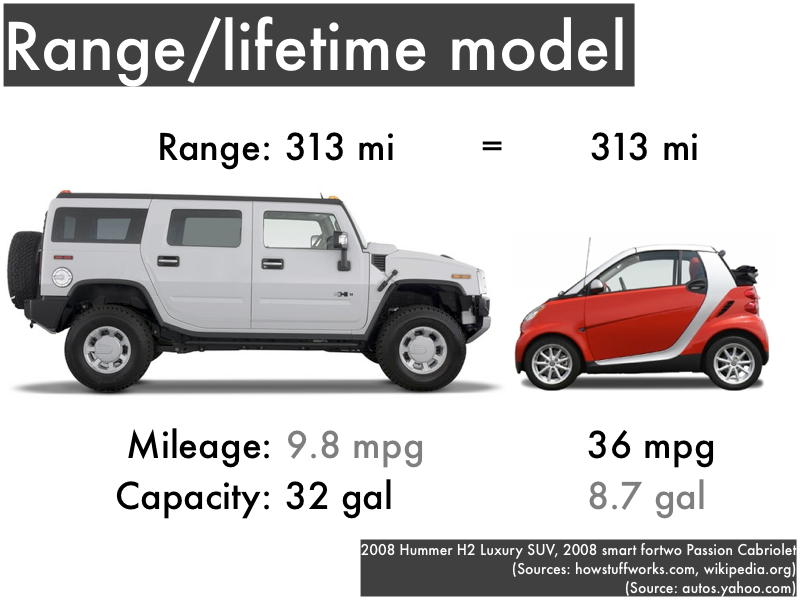 "I thought it was interesting that a Hummer and a SmartCar could drive the same distance, even though their tank capacity and mpg were completely different. It’s weird to think someone thought a hummer with those characteristics was a good idea." "When a medium-mass main sequence star goes through 90% of its total existence and its hydrogen is exhausted. After exhausting the hydrogen the star will evolve rapidly into a giant star; however the giant star is the first step towards the star's death and only has 10% of its existence left." "What I found interesting was that stars will resort to different elements when dying out." "That a massive star will implode and explode on itself while it is dying." "Pulsars are neutron stars that are rotating. I always thought they were resonating." "Black holes and pulsars are always an interesting thing to talk about. The pulsar lighthouse model has always been fascinating to me because while we don't exactly know what a black hole is, we know that a pulsar is what it was just before (in most cases) and the pulsar we can actually see, which means we can study it. This is by far one of the most extreme objects in the universe, and I think it would be just so cool to see one in person." "Black holes, everything about them is interesting and complicated." "How black holes can't be seen." "I found it interesting that you can't really see black holes." "How a white dwarf is much larger than the two remnants of massive stars such as a neutron star or a black hole, but how can these two be much more massive than a white dwarf?" "I found that medium-mass stars have a smaller life span than small mass stars confusing because I had previously thought that the bigger stars had longer lifespans." "Why certain stars explode differently." "Something that I found confusing was planetary nebulae. I am not really sure what it is or what it does." "How a white dwarf can steal hydrogen from another star." A Hummer H2 and a SmartCar ForTwo can travel the same distance with a full tank of gas. Briefly explain how this is possible. "The SmartCar gets better gas mileage but holds less gas while the Hummer holds more gas but gets less miles to the gallon." "A Hummer H2 gets less than 10 miles a gallon, but can hold over 30 gallons of gas. A SmartCar ForTwo gets almost 40 miles a gallon but can only hold less than 9 gallons of gas. The balance of these two characteristics of each car makes the distance equal between them." "The Hummer has a bigger gas tank but has a lower fuel efficiency. The SmartCar has a smaller gas tank but better fuel efficiency." Match the end-of-life stage with the corresponding main-sequence star. Match the type of explosion (if possible) with the corresponding main-sequence star. If you were to leap into a black hole, your friends would typically watch you falling in for __________ before you entered the event horizon. "Show up to class and pay attention?" "Don't let your friend jump in a black hole?" "I feel like I should know this or remember it but I really can't think of it..."
"Don't talk about astronomy class." "What do you recommend for staying motivated?" "What is the first rule of astronomy class?" "What is the second rule of astronomy class?" The following questions were asked on reading textbook chapters and previewing a presentation on elasticity. "Tension is when you stretch something and compresion is when you squish something." "Hooke's law can show how the material will respond to stress being applied to it." "Stress is the application of a force, while strain is the measure of how the material responds." 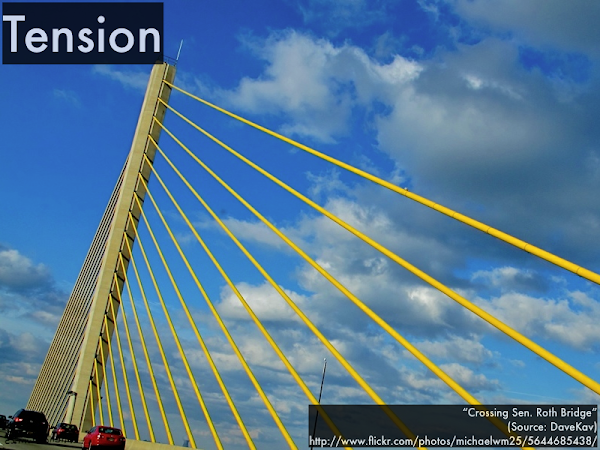 "Tension is the stretching of something while compression is the squishing of something." "Stress is defined as the force per unit area of a material. Stress = force/cross-sectional area. Strain is defined as extension per unit length. Strain = extension/original length." "I understand the concept of restorative force applied by a spring when you stretch or compress it. The spring is always going to 'want' to return to its original length." "Most of it was confusing." "I'm not quite understanding how these variables such as tension, stress, and strain are all connected, is it just through Hooke's law or is there something else that will connect them?" "Well I could use a run-through on Hooke's law and how we solve it. as well what each of the symbols represent in-depth." "The whole section on Hooke's law confused me. I just really didnt understand what was being put into the equations, except for the moduli for differing materials." "Everything in this reading actually made perfect sense to me, there really wasn't anything that I kind of found confusing. Maybe Hooke's law, but I read it over a couple times and it makes sense now." "I didn't find much confusing since I feel like this chapter is pretty straightforward." What is the SI (Système International) unit for stress? Explain why strain is a unitless quantity. "strain is dimensionless and have no units." "It's the ratio of two lengths." "Because its a fractional change?" "Strain is unitless because it is a fraction of the change in length over a length so the units cancel out. " "Not sure, I just know it is." What is the SI (Système International) unit for Young's modulus? 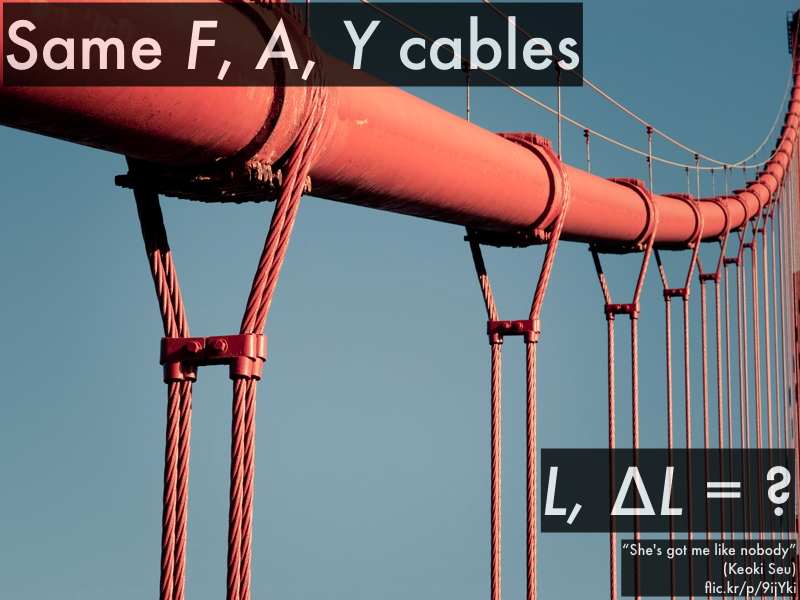 The __________ lengths of vertical suspension bridge cable are stretched by a greater amount ∆L from their original lengths. The __________ columns of 2×4s support the least amount of force. "How do we set up and work through these type of problems?" "I would like to go over some practice problems in this section." A 2008 NERF® N-Strike Recon CS-6 toy gun can be modeled as a compressed horizontal spring that is released to push against a standard 1.3×10–3 kg foam dart, which speeds up from rest to a final speed of 16 m/s. [*][**][***] Ignore drag/friction. 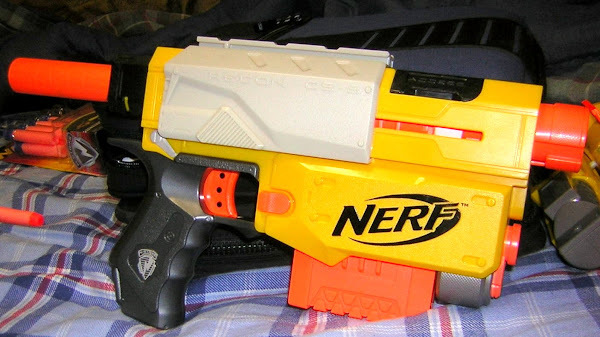 A slightly more massive dart launched from this same Recon CS-6 toy gun will have __________ final speed compared to the standard 1.3×10–3 kg dart. 0 = (1/2)·m·(vf2 – v02) + (1/2)·k·(xf2 – x02). Using a more massive foam dart in the same toy gun would increase m in the denominator of the square root quantity (while the spring constant k and the distance x0 that is spring is compressed from equilibrium would be unchanged), and thus this would result in a slower final speed compared to the original less massive foam dart. The following questions were asked on reading textbook chapters and previewing presentations on fusion, nebulae, and star cluster ages. 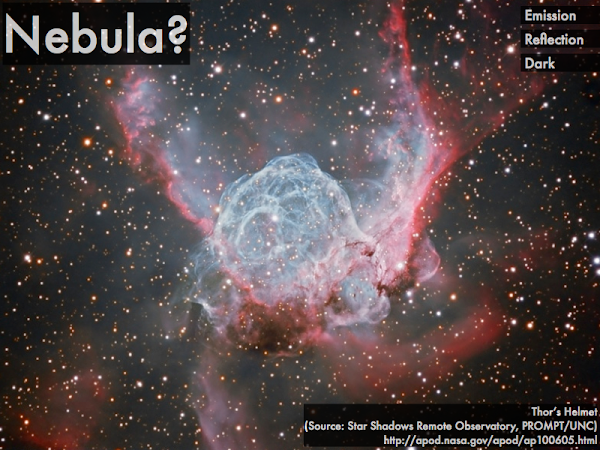 "The different types of nebulas, because of the different type of colors that they can make! Really cool images." "How the mass of a star will effect its luminosity. On the suffers it seems as it just makes sense because you know, bigger is better. But honestly I never thought about how its mass affects its inner workings and the area that causes it be bright." "The lifespan of different types of stars. its interesting to see what creates and ends stars." "The cheerleader analogy, which is more pressure, and squeezing results in more energy and luminosity." "That nebulae had different colors. I found it interesting because when I would think of space I would think that it was mostly just black and white." "I honestly never even knew at first what a nebula was, only that it had something to do with space. So, to learn about the formation of clouds in our infinite universe and their properties was especially interesting." "Stars in a star cluster are all born at the same time, so they are equally old, but they will 'age; differently, some progressing faster than others. I found this interesting because I did know that all star clusters were born in the same time." "I would like more clarification on how to read the H-R diagram." "The composition of different types of nebulas. I took my time with it, and I think I got it, but I'm unsure." "How hydrostatic equilibrium works and how is it that it connects to the layers of a star." "The stuff about hydrogen fusion and the proton-proton chain. theres a lot of technical language that makes it a little hard to interpret." "Why is it that the clouds around stars aren't always just exploding all the time? It seems like there are always things in space that are exploding. But why is it that all these gasses and dust just seems to sit in space between stars." "What different types of people have to do with massive stars, medium mass stars and low mass stars [in the house party model]." "Nothing in particular. I trust most of my confusions and questions are put at ease when we actually discuss them in class." Briefly explain why "cold fusion" (producing energy from hydrogen fusion at room temperature) would be implausible. "Proper fusion calls for hight temperatures. Without how high temperatures or pressure, the hydrogen photons will never collide or squeeze (since they 'hate' each other), therefore not produce/release any energy. You simply can't have fusion without hot temperatures or high pressures." "Heat is needed to move atoms faster, to overcome repulsion, so they will collide. If the atoms are cold, they will not move quickly, thus will not be able to overcome repulsion." "Atoms wouldn't move fast enough to fuse together." "I have no idea, can you go over this in class?" Match the three different types of nebulae with their colors. 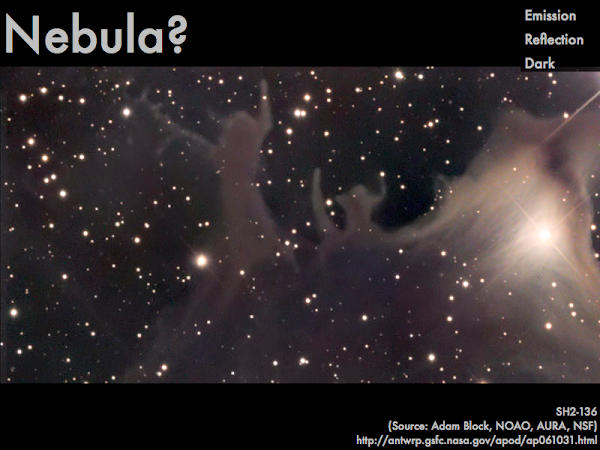 Match the three different types of nebulae with their composition. If there was an open invitation to a house party (no specific time given), when would you show up? "My comment is that I would like a little more clarification in the nebulae section I understood most of it but was a bit confused in that section." "Let's go over everything. I'm behind." The following questions were asked on reading textbook chapters and previewing a presentation on ideal fluid flow. "An ideal liquid is one that is in-compressible, non-viscous, and should undergo a laminar flow. The conservation laws regarding liquids allow us to determine several factors regarding liquids including volume and energy." "The differences between compressible and non-compressible fluids which is kind of straight forward. Also the difference between non-viscous and viscous and between laminar and turbulent." 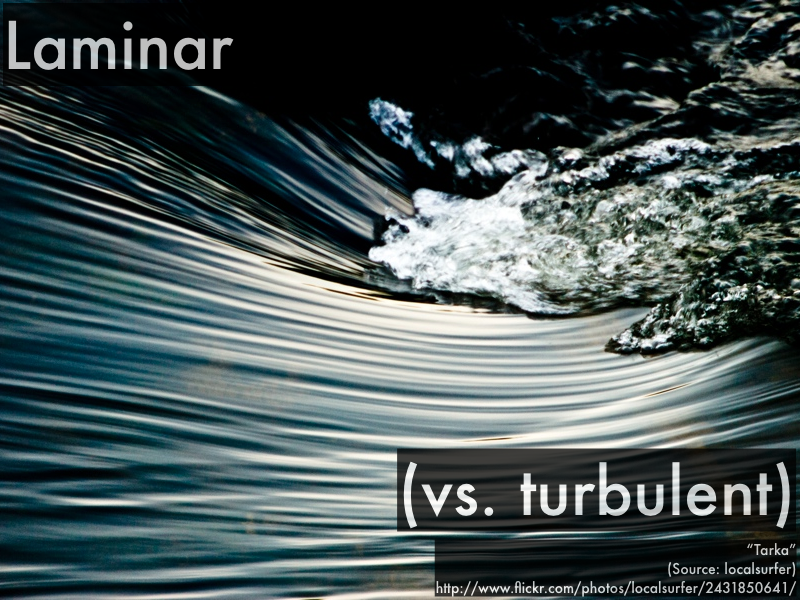 "An ideal fluid is incompressible, laminar, and non-viscous. Since it is incompressible, volume flow rate is conserved. Even when a pipe changes radius, the incompressibility of an ideal fluid means the same volume flowing in one end equals the same volume coming out the other end in the same time interval." "I feel like I have a good grasp on the continuity equation. If the area of the 'in' is smaller than the area of the 'out,' then the speed will decrease on the way out. If the area for the 'in' is bigger than the 'out,' then the speed will increase on the way out." "The volume flow rate of a fluid is defined to be the volume of fluid that is passing through a given cross sectional area per unit time. Because liquids are incompressible, any portion of liquid flowing through a pipe could change shape, but it must maintain the same volume. This is true even if the pipe changes diameter. In the diagram below [for the horizontal narrowing pipe] of liquid on the left changes shape as it enters a narrow section of pipe, but it maintains the same volume since liquids are incompressible." "Sorry P-dog, but I'm still preparing for my art history midterm." "I am kind of confused about Bernoulli's equation." "I need help understanding Bernoulli's equation." "I cannot seem to understand energy density conservation." "I was confused why the equations have to balance out all the time." "I need a better understanding of what each of the symbols represent in the equations. as well how to properly go about solving them." "I found Bernoulli's equation a bit confusing. 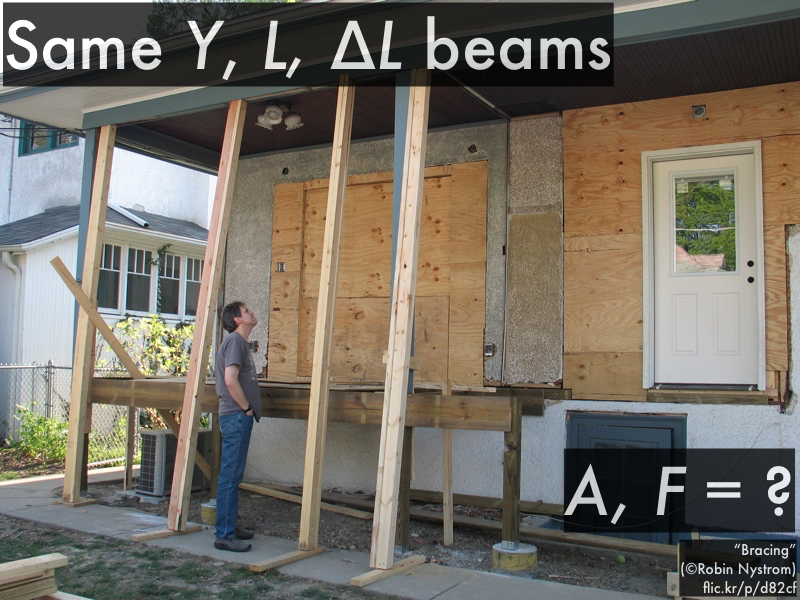 Mostly how gravitational potential energy density is affected by the cross-sectional area." "I found the energy density conservation equations kind of confusing and would like to see examples of them worked out in lecture." "Bernoulli's equation--I am not sure if the equation will always be balanced or if there are some cases where the right-hand side will not equal to 0." "I think I understand why area and fluid speed increase, decrease, or are constant for given situations but I'm a little unsure when it comes to determining the values of each term in Bernoulli's equation. " "I understand the difference between viscous and non-viscous liquids. I found everything else about this reading confusing." "I think I'm going to be okay right now." What is the SI (Système International) unit for volume flow rate? For an ideal fluid flowing through a pipe with a widening cross-sectional area, indicate the changes in each of fluid flow parameters. For an ideal fluid flowing through a pipe with a narrowing cross-sectional area, indicate the changes in each of fluid flow parameters. For an ideal fluid flowing through a descending pipe with a constant cross-sectional area, indicate the changes in each of fluid flow parameters. "I would like to go over these laws more in class." "I don't understand the variables, but I believe that I will understand the concepts once we clarify each variable." Which solar system object(s) only meets qualification I, but does not meet qualifications II and III? (B) Ceres, a dwarf planet in the asteroid belt. 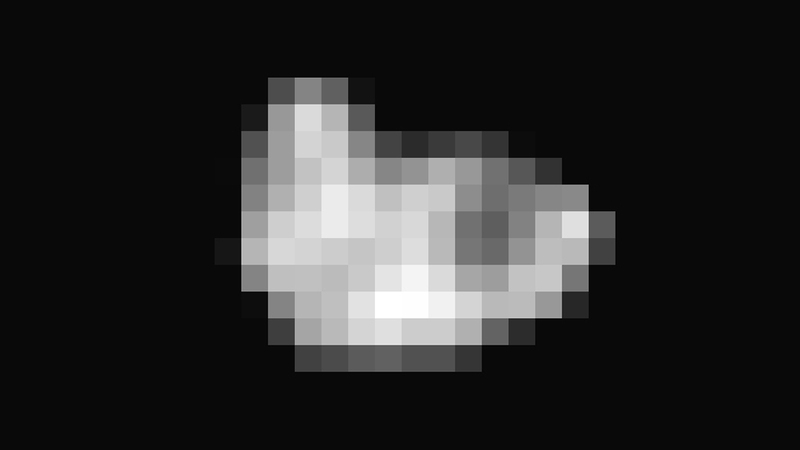 (C) Mathilde, an irregular-shaped object in the asteroid belt. (D) Nereid, an irregular-shaped object in orbit around Neptune. The moon orbits Earth (and does not directly orbit the sun, failing qualification I); is "rounded out" in shape (meeting qualification II); and does not dominate its orbit around the sun (failing qualification III), as it is gravitationally bound to orbiting Earth as Earth orbits the sun. Ceres orbits the sun (meets I); is "rounded out" in shape (meets II); but does not dominate its orbit around the sun, sharing it with other Kuiper Belt objects (fails III). Mathilde orbits the sun (meets I); its shape is not "rounded out" (fails II); and does not dominate its orbit around the sun, sharing it with other asteroids (fails III). Nereid orbits Neptune (and does not directly orbit the sun, fails I); is irregular in shape (fails II); and does not dominate its orbit around the sun (fails III), as it is gravitationally bound to orbiting Jupiter as Jupiter orbits the sun. Thus Mathilde is the only object listed here that only meets qualification I, but does not meet qualifications II and III. Which solar system object(s) only meets qualification II, but does not meet qualifications I and III? Ceres orbits the sun (meets I); is "rounded out" in shape (meets II); but does not dominate its orbit around the sun, sharing it with other asteroid belt objects (fails III). Thus the moon is the only object listed here that only meets qualification II, but does not meet qualifications I and III. "PIA19711: Hydra Emerges from the Shadows"
Since its discovery [by the Hubble Space Telescope] in 2005, Hydra has been known only as a fuzzy dot of uncertain shape, size, and reflectivity. Imaging obtained from NASA's New Horizon spacecraft in 2015 revealed it is an irregular potato-shaped body characterized by significant brightness variations over the surface. Hydra's surface is probably covered with water ice, the most abundant ice in the universe. [*] Tricia Talbert, "Hydra Emerges from the Shadows" (July 15, 2015, updated August 6, 2017), nasa.gov/image-feature/hydra-emerges-from-the-shadows. Since Hydra does not orbit the sun directly (it is orbiting Pluto, which does orbit the sun directly), Hydra does not meet the qualification I, and thus is classified as a moon. While analyzing images from NASA's Galileo spacecraft, astronomer Ann Harch discovered that the asteroid Ida is orbited by a tiny asteroid subsequently named Dactyl. Ida is 34 miles across its longest axis, and is potato-shaped, as are many other asteroids. Dactyl itself is remarkably spherical, being about 1 mile across. [*] Matthew Francis, "Moonday: A Bite-Sized Moon" (March 5, 2012), galileospendulum.org/2012/03/05/moonday-a-bite-sized-moon/. Since Dactyl does not orbit the sun directly (it is orbiting Ida, which does orbit the sun directly), Dactyl does not meet the qualification I, and thus is classified as a moon. A computer-simulated "pulsar in a box" was used to study the behavior of __________ surrounding neutron star pulsars. The Very Large Array in New Mexico observed __________ produced by a "sonic boom" of gamma ray burst jets from a collapsing star. Astronomy current events question: exoplanet Kepler-1625b's moon? NASA's Kepler Space Telescope may have identified a moon orbiting exoplanet Kepler-1625b as it __________ their star. (B) passed in front of. A Physics 205A student on a cardboard sheet slides down a grassy slope starting from rest, and has a final speed of 0.80 m/s. Consider the Physics 205A student and cardboard sheet as a single 75 kg object. Friction is not negligible. Ignore drag. 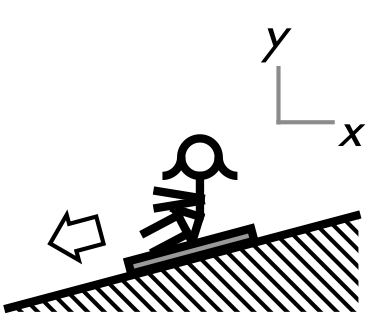 For this process, the decrease in the Physics 205A student and cardboard sheet's gravitational potential energy is __________ the increase in translational kinetic energy. where ∆PEelas = 0, as there is no spring involved in this process. and since the speed is increasing, vf is faster than v0, and so KEtr is increasing (∆KEtr is positive). and since yf is lower than y0, then PEgrav decreases (∆PEgrav is negative). and so the decrease in gravitational potential energy (negative change) must be greater than the increase in translational kinetic energy (positive change) on the right-hand side of the energy transfer-balance equation to be equal to the negative non-conservative work done by kinetic friction. 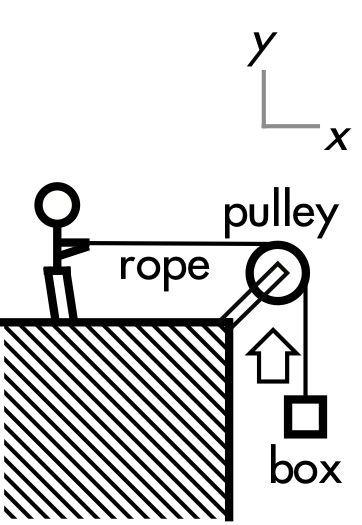 A Physics 205A student uses an ideal rope and pulley to lift a 5.0 kg box at a constant speed. The box moves up a vertical distance of 1.0 m. Ignore friction and drag. For this process, the __________ of the box increases. and since the speed is constant, v0 and vf have the same magnitude, then KEtr is constant (∆KEtr = 0). and since yf is greater than y0, then PEgrav increases (∆PEgrav is positive). My car caught air at [100 m/s], got airborne and smashed straight into a massive steel pole in the catch fence... It recorded a record [150,000 N force] impact [on me] and left me seriously injured. where ∆v = vf – v0. or to two significant figures, the magnitude of the impulse is 7.0×103 N·s (and the "–" sign indicates that it is directed to the left, opposite the direction of the initial velocity). "How others stars compare to the sun. I found it interesting that the sun is not that bright, it's just close." "Learning about interstellar medium was interesting because I did think space was some what empty before I read this section." "That space is dirty and full of dust with extra hydrogen floating around." "The concept of how stars are powered by fusion alone is interesting. There are few things like it in the universe." "How the colors of clouds in space were from different types of interactions with dust particles or hydrogen atoms." "That different nebulae produces different colors. Anything pink in the universe automatically catches my attention, and I think it’s so cool that that color occurs naturally in space." "I found the nebulas to be quite interesting, probably because they are so visually appealing. Also I find the composition of them insane." "The sequence in the proton-proton chain basically fuels the nuclear reaction in main sequence stars. The conversion of hydrogen protons to helium produces energy in the form of gamma rays and positrons and neutrinos." "It is unexpected that four hydrogen atoms would be needed to make one helium atom." "I found how different stars go through different rates of fusion interesting because I previously figured that all stars experienced the same levels of fusion." "How stars are born and how long they live. Puts our little lives in a little more perspective." "I really like the 'house party' analogy, put a smile on my face while try to do this homework." "I'm a bit confused about the 'cold fusion' question because I don't know how it would be implausible." "How does the hydrogen become squished and turn into helium in the the proton-photon chain?" "Fusion energy? How is energy created from two things smashing into each other?" "Why certain types of stars have the lifespans that they do." "This lesson isn’t really confusing at all for me. Further review about what colors go to what nebulae and what sizes of stars have to do with fusion and luminosity, etc. for memorization help would be appreciated though." "I found nothing too confusing for this chapter." "Cold fusion is implausible due to it missing one of the two major ingredients. Without the proper high temperature, protons cannot get over their repulsion from each other and can not form a chain to create the necessary hydrogen. With a cool temperature, they will continue to bounce away from each other." "The temperature isn't high enough for the protons in hydrogen to collide and fuse, so instead, the protons may not collide very much or at all. This means little to no energy is produced." "Cold fusion is implausible because it is not producing enough energy for the hydrogen protons which already repel each other to collide because they are moving too slow and aren't being squeezed together enough." "Cold fusion would be implausible because heat is needed to move atoms faster and to overcome repulsion so that they can hit each other more and cause a fusion reaction." "I don't understand fusion. If we could go into it in more detail in class that would be really helpful." "Dr. P-dog, Since you have the label 'Doctor' in front for your name this most mean you had to be in college forever. Did you go to a lot of house parties? If so what was the craziness one you ever went to?" The following questions were asked on reading textbook chapters and previewing a presentation on static fluids. "Pressure as a force density is pressure equal force divided by area. I also understood that pressure as a energy is pressure equals energy divided by volume." "For energy density conservation, the change in pressure and the gravitational potential energy density balance each other and equal 0. If an object is floating while submerged in water, Newton's first law applies and the weight force of the object and the upward buoyant force are equal." "Pressure is a force per unit density with units of Pa (pascals), and we can think of it as energy per unit of volume. And since its energy/unit volume we can compare it to PEgrav per unit volume. We learned a new force (buoyant force which we can calculate by the equation (FB = ρ·g·V). For an object that is fully submerged (and floating underwater), Newton's first law applies because the downwards weight force and upwards buoyant force cancel out." "Yay Newton's laws again! They really must be legit if they even work underwater! The new fancy 'p' (ρ) is fluid density." "The volume of an object when calculating buoyancy needs to be the portion of the object that is submerged underwater." "I am sorry about this sir, but unfortunately I did not have enough time to preview the online presentation. I will have to choose 'Honestly, I just didn't get to it (yet).'" "I was confused by the equation for pressure and why ΔP and the rest of the equation need to have opposite signs." "The expanding of the weather ballon and shrinkage of the cups." "That buoyant force only depends on the density of the liquid and not the density of the submerged or floating object." "I found buoyancy kind of confusing in the way that I don't quite know what the whole concept of it is. It involves the density of the fluid and the volume of the object but I don't understand how those interact." "The buoyant force is confusing for me." "I don't really understand much about buoyancy. I am guessing it increases the deeper an object is under a liquid?" "How would use these different equation on a test problem." "I found most of this information confusing." "I don't really have any questions." What is the numerical value for atmospheric pressure (Patm, at sea level), in units of Pa? "14.70 pounds per square inch?" To three significant digits, what is the numerical value for the density of water, in units of kg/m3? "1,000 kg/m3? 1.00×103 kg/m3? or 0.001×106 kg/m3? Not really sure how to go about getting three significant figures." To two significant digits, what is the numerical value for the density of air (at 20° C), in units of kg/m3? For the air pressure surrounding the balloon as it rises from ground level to the upper atmosphere, indicate the changes in each of the energy density forms of the atmosphere. 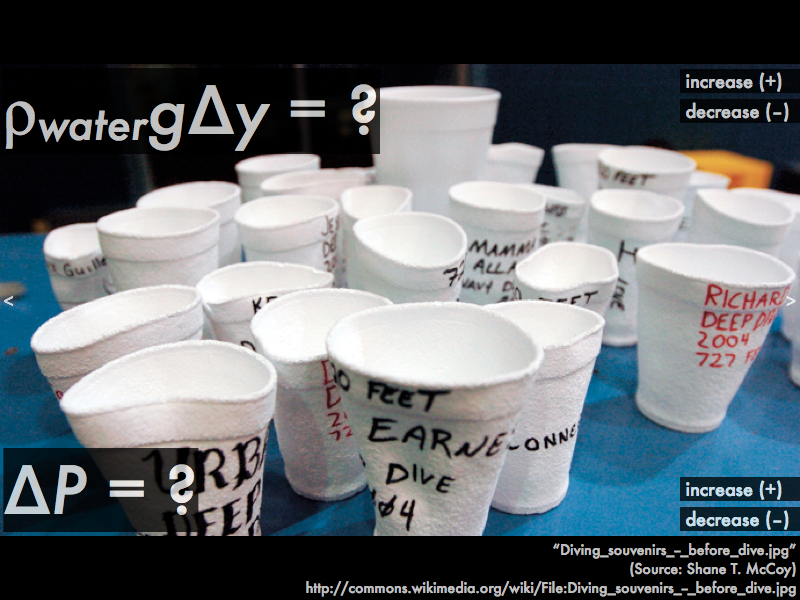 For the water pressure that surrounded these cups as they were taken deep underwater, indicate the changes in each of the energy density forms of the water. For the submerged diver floating underwater, Newton's __________ law applies, and the (downwards) weight force and (upwards) buoyant force on the diver are __________. 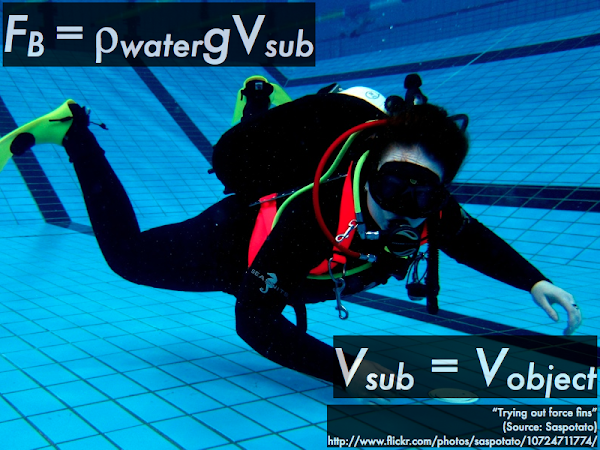 Using ρ·g·V, the density of the __________ should be included in the calculation of the magnitude of the buoyant force on the diver. For the red ship (barely) afloat, Newton's __________ law applies, and its (downwards) weight force, the (downwards) oil platform's weight force, and the (upwards) buoyant force on the red ship are __________. 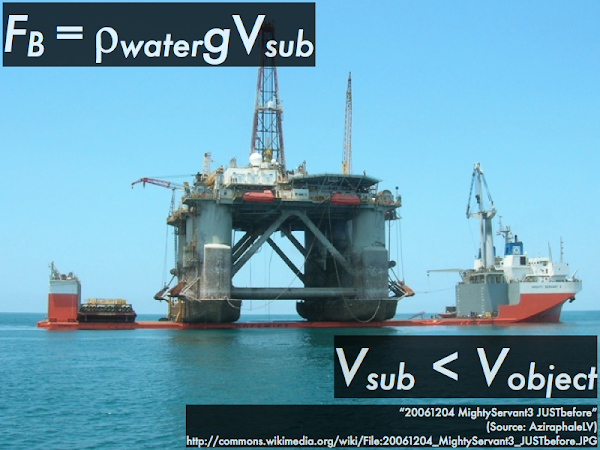 Using ρ·g·V, the density of __________ should be included in the calculation of the magnitude of the buoyant force on the red ship. Using ρ·g·V, the volume of the red ship's __________ should be included in the calculation of the magnitude of the buoyant force on the red ship. "Sorry dude but I couldn't do the reading assignment because this part of the semester is too difficult to manage."